Software engineer and open-source advocate Bassel Khartabil will spend his second birthday in prison today. Palestinian-born Bassel was arrested on 15 March last year by Syrian security forces, and has been in prison ever since. On his birthday and the 799th day of Syria’s conflict, Index calls on the Syrian government to release Khartabil. Earlier this year, Bassel was awarded an Index on Censorship Digital Freedom Award, sponsored by Google for his work as a free internet pioneer, advancing open source technologies. 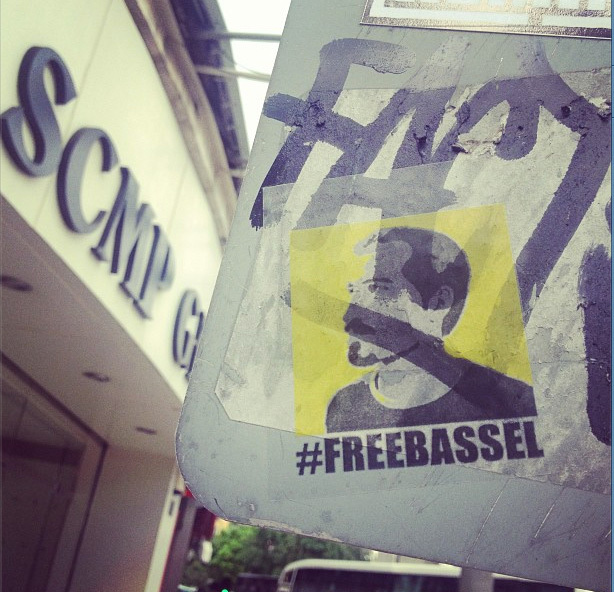 The Free Bassel campaign has also launched a creative project to shed more light on the activist’s case. Visit the Bassel Sunlight page, where the campaign is looking for your help to unearth more information about what’s happened with him. Special thanks to Renata Avila and Dana Tromoter for collecting these birthday messages. Bassel, Man who is free in prison! Happy birthday Bassel. May you be free soon and see your country recover from the terrible war that’s going on.